Newport Gwent Dragons back Ross Wardle says he will miss the rest of the season after undergoing shoulder surgery. 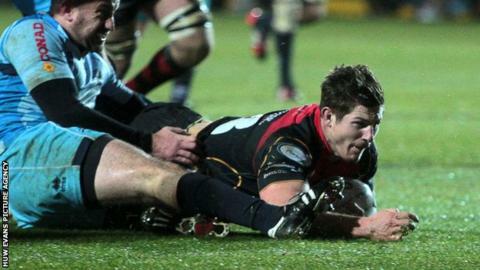 The wing, who can also play centre, tweeted he was "gutted" to be ruled out of Dragons' remaining matches. The 23-year-old, who has played for Wales Under-18, said he suffered the injury during the 25-11 win against Zebre in December. Dragons host Stade Francais in the Challenge Cup on Saturday, 24 January.